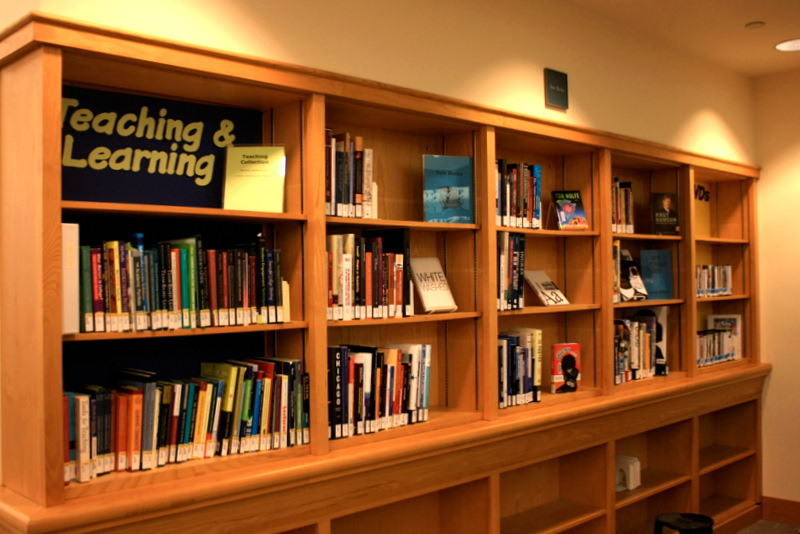 Since 1969, we have helped libraries across the country with their shelving and storage needs. We offer everything you need to get organized, including heavy-duty book shelving, carts, and magazine racks. 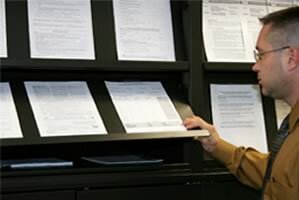 We also carry mobile shelving systems to help you organize your reference items and historical documents, allowing you to double your storage space while enhancing document retrieval. We have years of experience with developing storage for rare books and delicate historical documents, and can engineer a shelving solution to keep your collections safe, organized, and easily accessible. 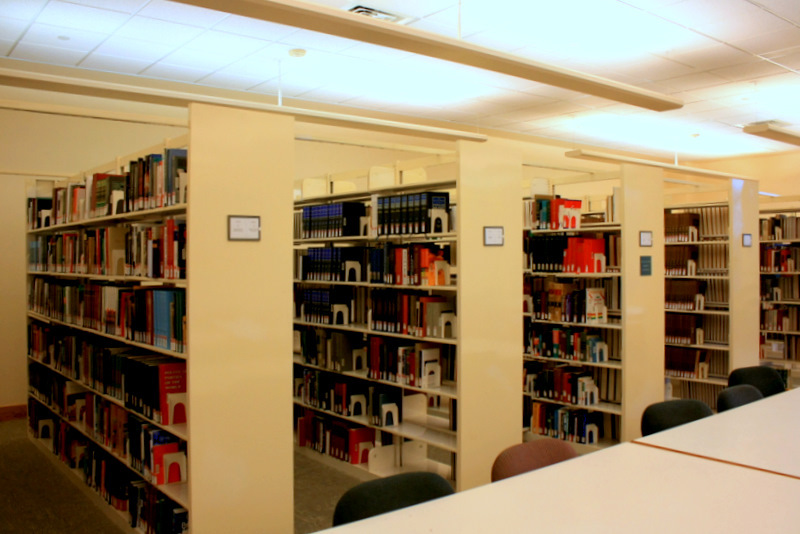 Open bookshelves are typically used in the majority of library shelving applications. 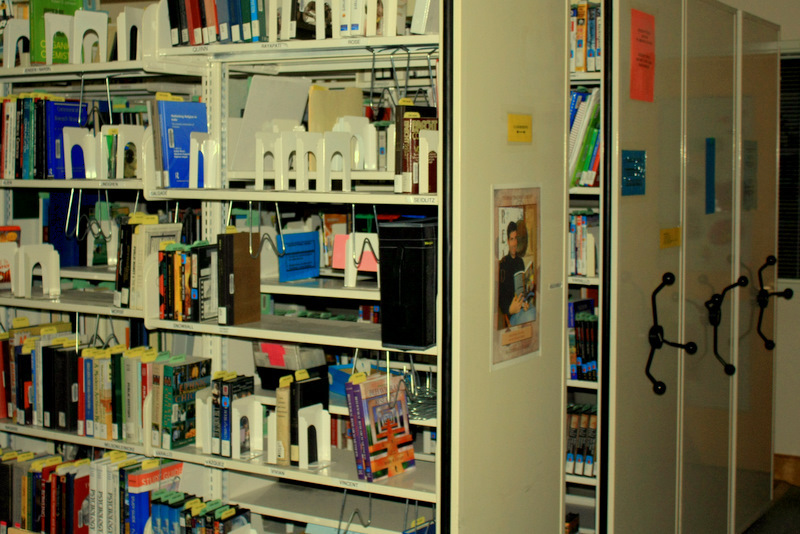 Books are stored on visible and accessible shelves to promote fast organization for librarians and easy browsing for patrons. Our open shelving equipment is made of heavy-duty steel to withstand the weight of full bookshelves without bending, and with our adjustable-height shelves, even your tallest books will have a permanent home. Locking shelves are also available for rare collections storage. 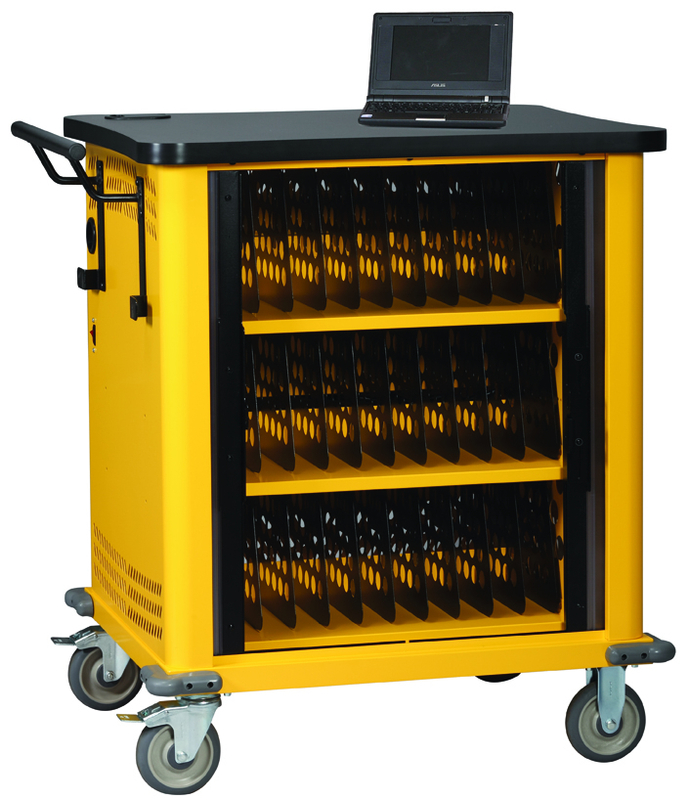 Keep your shelving operations running efficiently with our book and media carts! We also carry locking laptop and netbook carts with built-in chargers to organize and secure your digital investment. Need more room behind your hold desk? Reference collection getting out of hand? Get organized and double your storage space with a mobile shelving system! 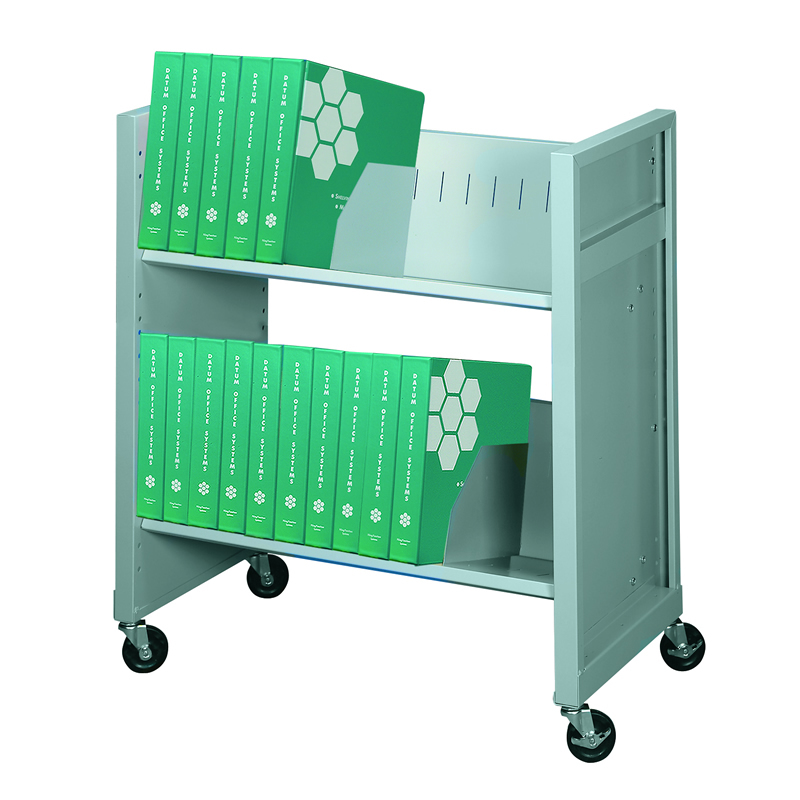 With crank-operated shelving on wheels, you can store all your non-circulating materials in one place with easy access! Need to grab an ILL book for a patron? Just turn the wheel and find all your ILL holds in one place! Need to store thousands of government or historical records? Keep them safe, organized, and compact with mobile shelving - and retrieve them even faster than before! We carry both metal and wood magazine racks to meet the needs of your library. 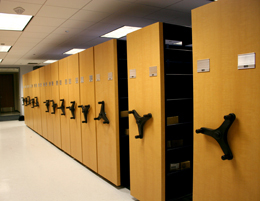 Racks can be configured to remain stationary or to flip up for periodical storage. Sliding magazine racks are also available to store large volumes of journals or magazines in a small footprint.